Tickets 35 € | reduced 20 € Indicated prices are valid at the ticket office of Radialsystem (online plus applicable fees). In "Exodos" Sasha Waltz investigates the collective body of those who go out in order to immerse themselves in each other and to escape from themselves; searching for ways out of material space to be able to enter spaces made up of sound and light. In modern Greek one meaning of "Exodos" is to go out like this - enjoying nightlife, visiting bars and clubs that often include the word in their names. However, "Exodos" also means escape as well as the specific destination one is escaping to. In the theatre the word means leaving the stage and with it also the moment when the mask of performance is removed. Interdependent relationships exist between these different levels of meaning: one flows into another and it is possible to sharpen this discourse through the language of movement. Waltz traces excess back to transgressive ideas of movement in which the concepts of bacchanalia and ecstasy have their etymological origins. Dance reveals itself as a technique for summoning states of exception in which humanity can comprehend itself. "Exodos" is produced in the year of the 25th anniversary of the company Sasha Waltz & Guests. This new creation is linked to the existential themes of its precursor, the project "Kreatur" (2017), and further evolves the forms of expression used there. 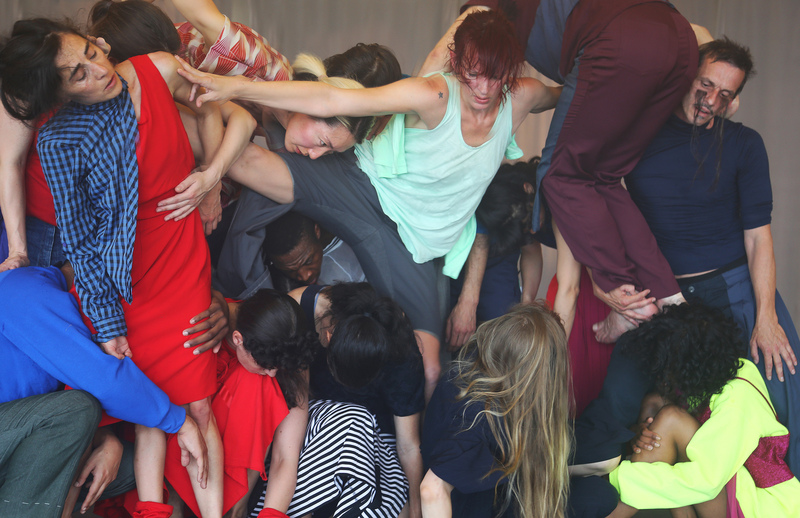 To investigate collective dynamics in "Exodos" Waltz works with an immersive format: the choreographed events unfold without a strictly delineated stage in order to involve all members of the audience - whether they are staying back on the fringes, feeling their way or eager to participate. The audience moves freely in the room throughout the whole Performance. The expected duration of the piece is three hours. The company Sasha Waltz & Guests was founded by Sasha Waltz and Jochen Sandig in Berlin in 1993. To date, more than 300 artists and ensembles - architects, visual artists, choreographers, filmmakers, designers, musicians, singers and dancers - from 30 countries have collaborated as "Guests" on over 80 productions, "Dialoge"-projects and films. 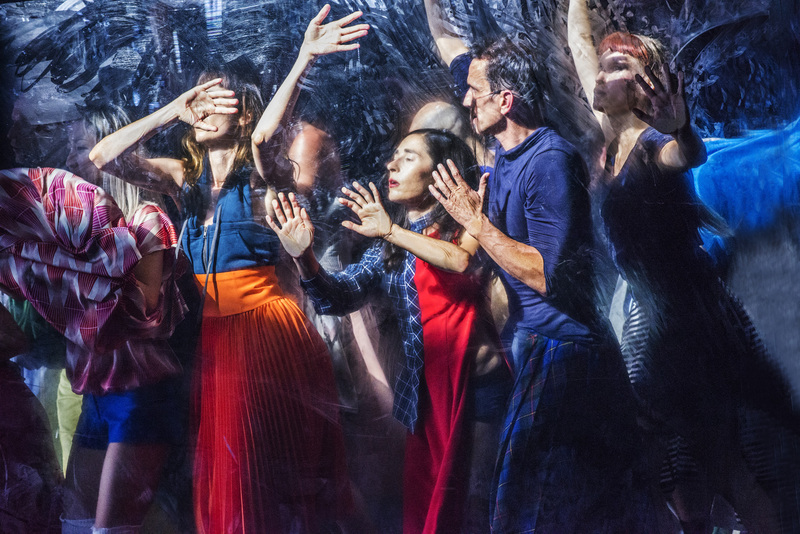 Sasha Waltz & Guests works in an international and constantly evolving network of production and guest performance partners, showing parts of its current repertoire of 20 pieces in about 70 performances around the globe each year. In Berlin, the company cooperates with a wide range of institutions such as municipal theatres, opera houses and museums and has contributed to the establishing of innovative production sites for artistic dialogue such as Sophiensaele (1997) and Radialsystem (2006). 2013 the company has been named "European Cultural Ambassador" by the European Union. In 2014 Sasha Waltz & Guests was awarded the "george tabori ehrenpreis" by Fonds Darstellende Künste. Sasha Waltz & Guests is funded by the Berlin Senate Department for Culture and Europe and the Capital Cultural Fund. In 2018 the company Sasha Waltz & Guests is celebrating its 25th anniversary. The prelude to this special year will be the restaging of their repertoire such as "Allee der Kosmonauten" (1996) in Berlin as well as abroad. Around the anniversary date in September the company is going to premier a new production and present various other performances at Berlin venues with which Sasha Walz & Guests share long-standing partnerships: Radialsystem, Staatsoper Unter den Linden, Deutsche Oper Berlin and Haus der Berliner Festspiele. Sasha Waltz & Guests are working towards new productions for 2019 and beyond. Besides the artistic direction of her own company, Sasha Waltz is going to take over the artistic direction of the Berlin State Ballet in 2019 together with co-director Johannes Öhman. Apart from her leading role in Berlin stagings and international guest performances, Sasha Waltz has been increasingly committed to educational and social projects. In 2007 she founded the Children's Dance Company ("Kindertanzcompany") in Berlin and in 2016 the interdisciplinary and open exchange platform "ZUHÖREN" which serves as a "third space for art and politics". Alongside these initiatives, Sasha Walz continues to propose diverse offers for professional dancers. 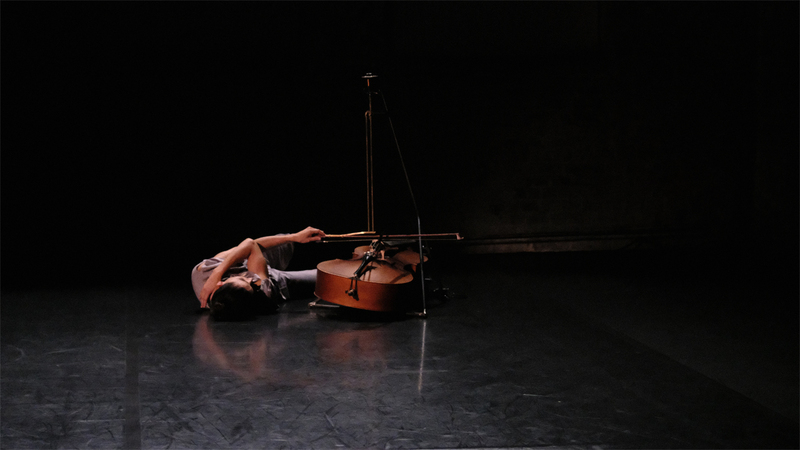 "EΞΟΔΟΣ - Exodos" is a production by Sasha Waltz & Guests in co-production with the Ruhrtriennale. Made in Radialsystem. Sasha Waltz & Guests is funded by the Berlin Senate Department for Culture and Europe and the Capital Cultural Fund.